Chambery Airport transfers to surrounding ski resorts, including; Alpe d’Huez, Avoriaz, Courchevel, Meribel, Morzine, Val d’Isere, Val Thorens, and many other destinations. Getting a Chambery Airport transfer with Ski-Lifts could not be more simple, use the quote generator to get an instant quote now. Ski-Lifts specialise in offering Chambery Airport transfers to ski resorts in France and Italy. All Ski-Lifts airport transfers from Chambery Airport can be booked online, you receive an instant confirmation of your booking and will be met in the arrivals hall at Chambery Airport by your driver or one of our representatives. The location of Chambery provides the perfect gateway to many of the ski resorts in the French and Italian Alps. – A transfer from Chambery Airport to Val Thorens, Courchevel, Chamonix and Les Gets takes approximately 1.5 hours. – Transfers from Milan Malpensa Airport to Avoriaz, Les Arcs, Tignes and Val d’Isere take around 2 hours. Ski-Lifts offer Chambery Airport private transfers, executive transfers from Chambery Airport, limousine transfers from Chambery and Chambery Airport coach transfers to resorts throughout France and Italy. You can book Chambery Airport Transfers to all of the resorts in the Three Valleys, Espace Killy and Paradiski areas. As well as French ski resorts, you can book transfers from Chambery to resorts in other countries such as Courmayeur and Sauze d’Oulx. For your return transfer to Chambery Airport from your ski resort, we send you a text message the day before you are due to depart confirming your exact pickup time. On the departure day, we come to collect you and aim to get you to the airport around 2 hours before your flight departs. 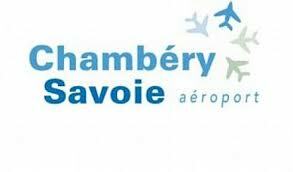 Upon arrival at Chambery Airport, you should collect your bags and proceed through customs into the arrivals hall. Once into the arrivals hall your driver or our representatives will meet you.